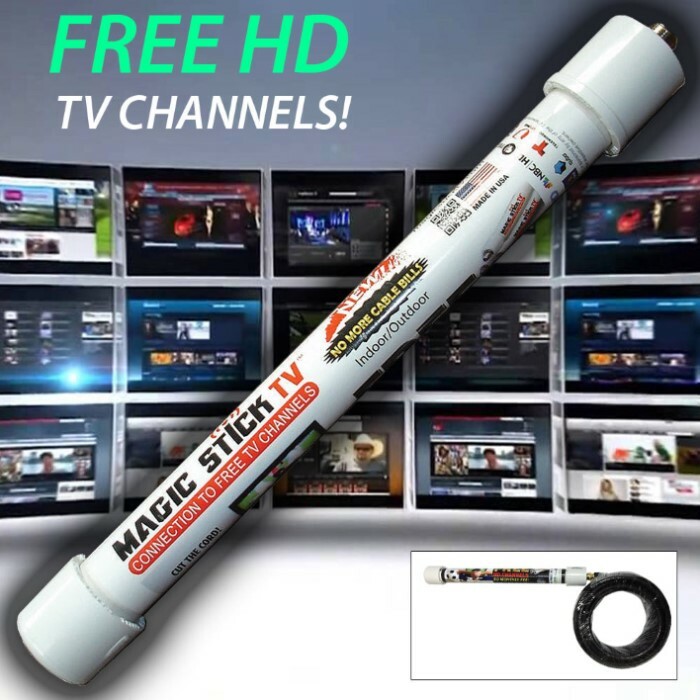 Magic Stick TV Antenna | BUDK.com - Knives & Swords At The Lowest Prices! 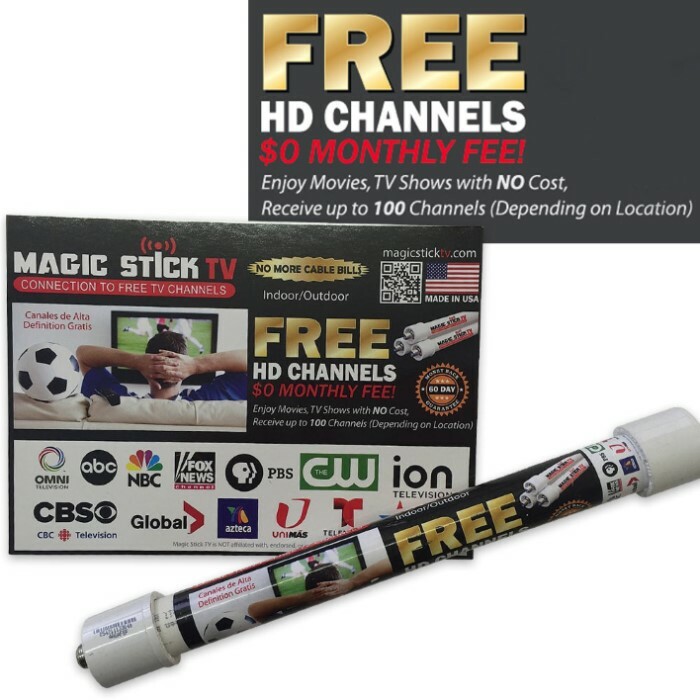 Get live HD local broadcast channels for free right now with the Magic Stick TV Antenna. This incredible new device is engineered to optimize the reception of live, free UHF and VHF digital television signals. It's multidirectional and receives over-the-air (OTA) signals from all directions. 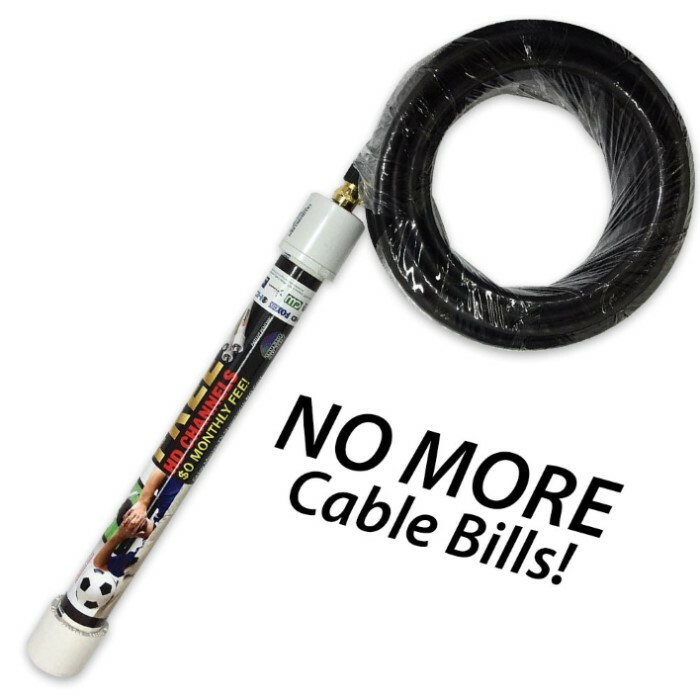 It's a must-have for cord cutters! Designed for maximum range and clear HD signal reception, it installs in minutes - either outdoors or in - and is perfect for home, boat, RV and camping. Best of all, it works immediately with smart TVs and streaming media players and requires no monthly fee or expensive accessories. CRT TVs (not flatscreen) manufactured before 2006 require a converter box to be compatible with the Magic Stick. Unfortunately for me, the Magic Stick did not work for me at all. No matter where I installed it the result was the same.....nothing. To be fair it does read that it does not work in all locations. I was one of the unfortunate ones! I am happy for those who had success. Easy setup and I get 44 channels. Hooked this up for my outdoor tv and one of the first channels I flipped to had classic Star Trek playing. Cross checked that with my extensive cable package and no Star Trek.. Lot's of great channels, will be great entertainment for my patio and much cheaper then running another cable line cable. Make sure you select 'Antenna' on your tv's channel finder feature. I first did with 'cable' and only got 13 channels then read instructions 8). The product is fantastic! It took me less than 5 minutes to install (more like 2) and is completely hidden behind my TV. More importantly, the channels come in crystal clear and I have access to more than I can possibly watch.